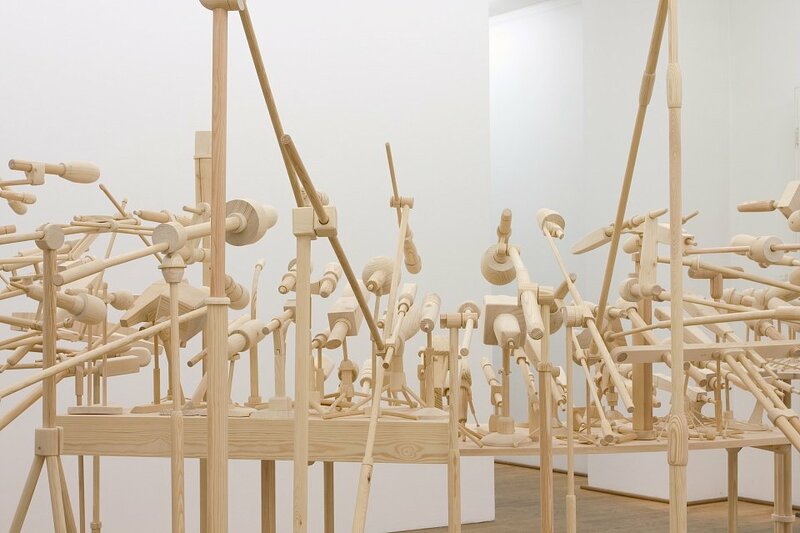 Kuckei + Kuckei is happy to present “Mikros”, the latest work by Oliver van den Berg. 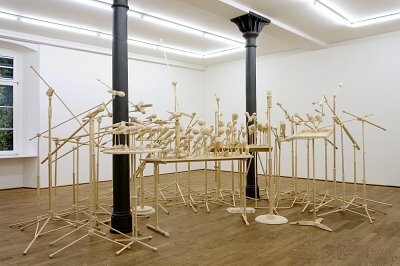 You are cordially invited to this event. 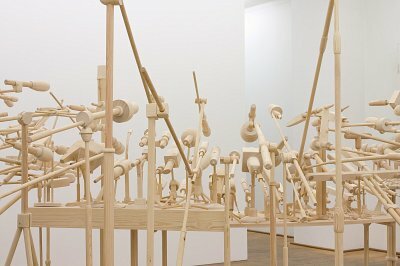 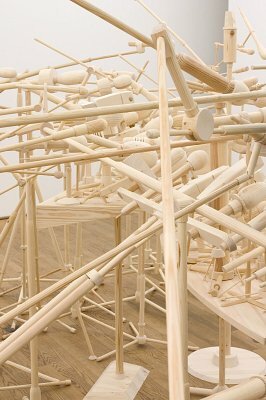 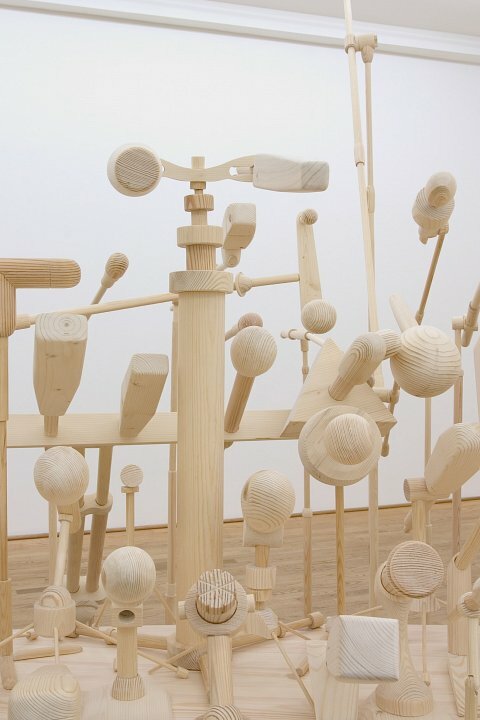 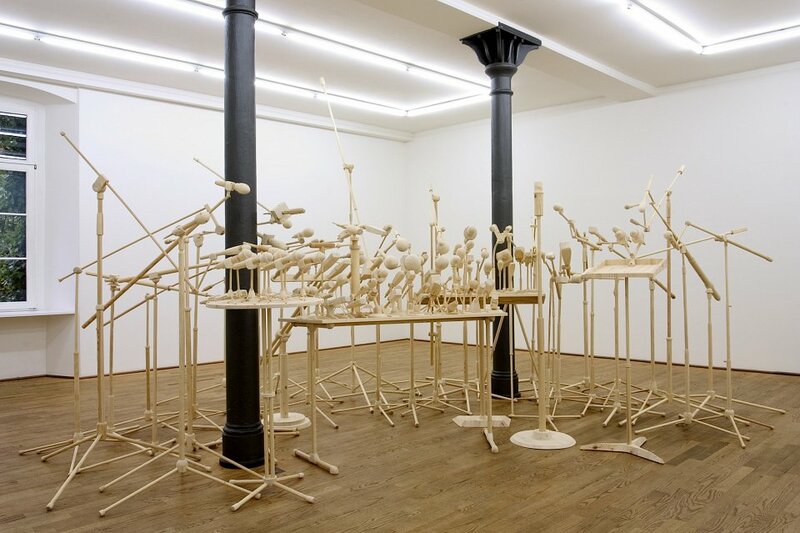 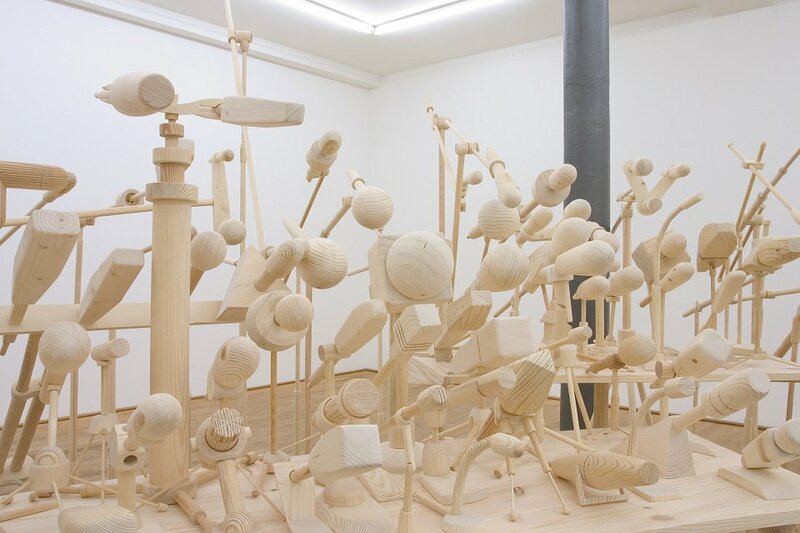 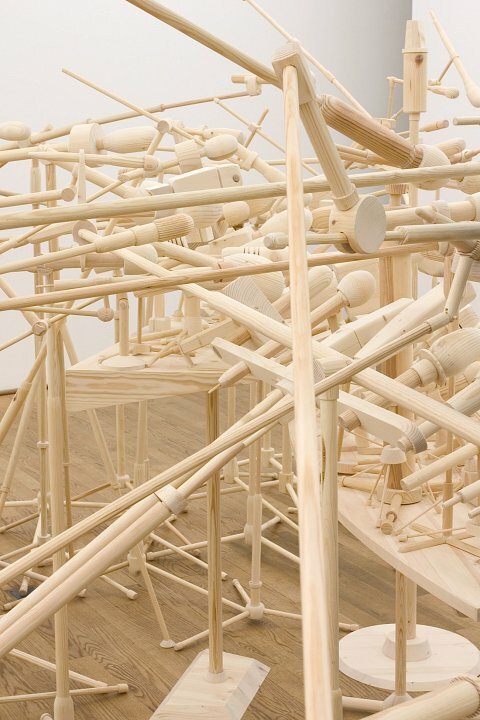 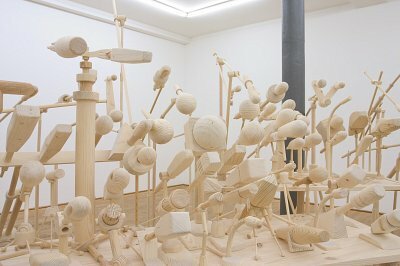 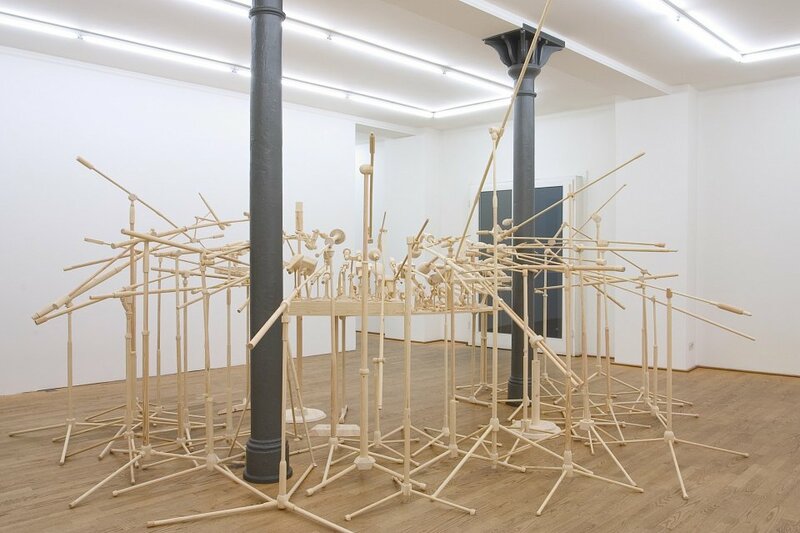 For his exhibition at Kuckei + Kuckei, Oliver van den Berg will fill the gallery space with a large number of wooden microphones. 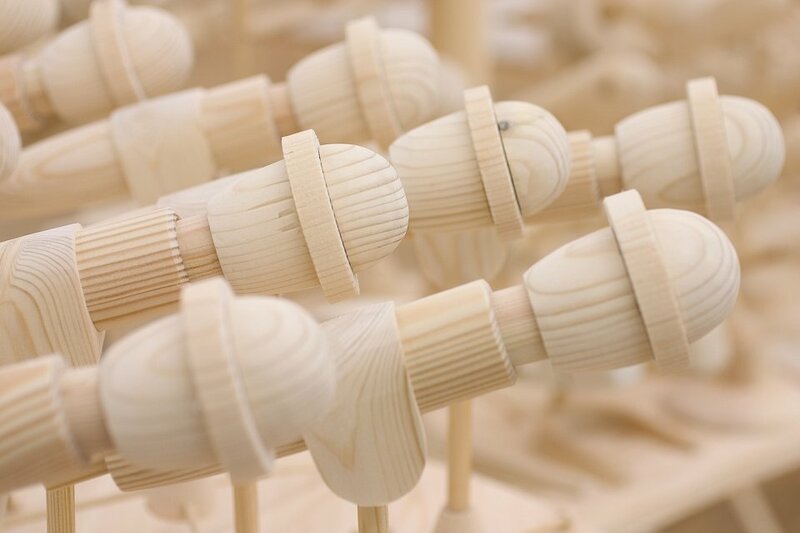 The microphones, not only receivers freed from their original intent, change into independent objects and actors full of character. 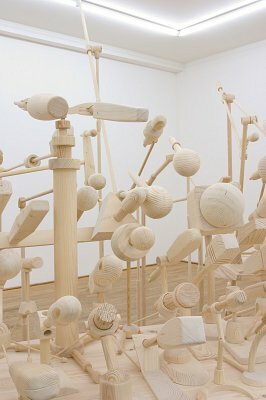 Communication takes place both amongst the microphones and between the object and the spectator within the exhibition space. 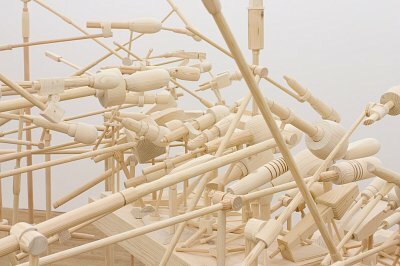 The expectation of visitor and object collide with each other.